This video segment is from a while back (March of 2014) - but it's classic if you're a Star Wars fan. Here, Graham Norton gets Harrison Ford to re-enact the famous "I Love You" scene from The Empire Strikes Back with a lucky audience member. It also helps to illustrate some classic nonverbal signals of anxiety - as well as a fundamental body language axiom. 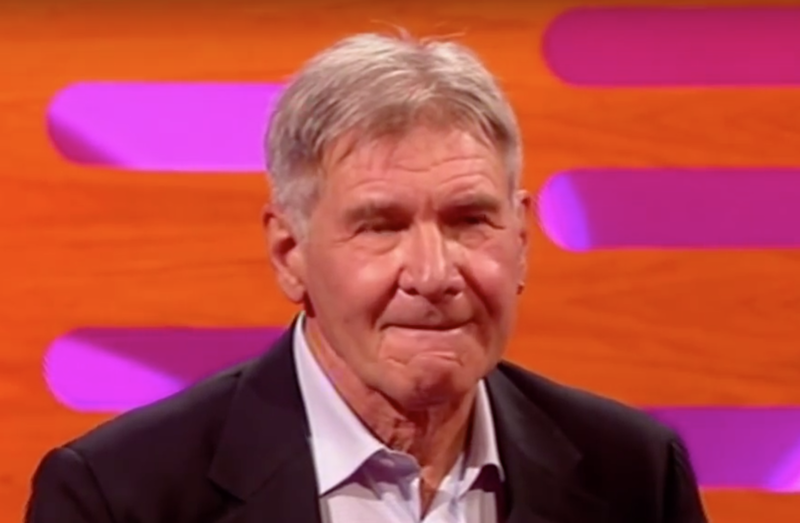 After hearing an audience member shouting, "Love you Harrison!" 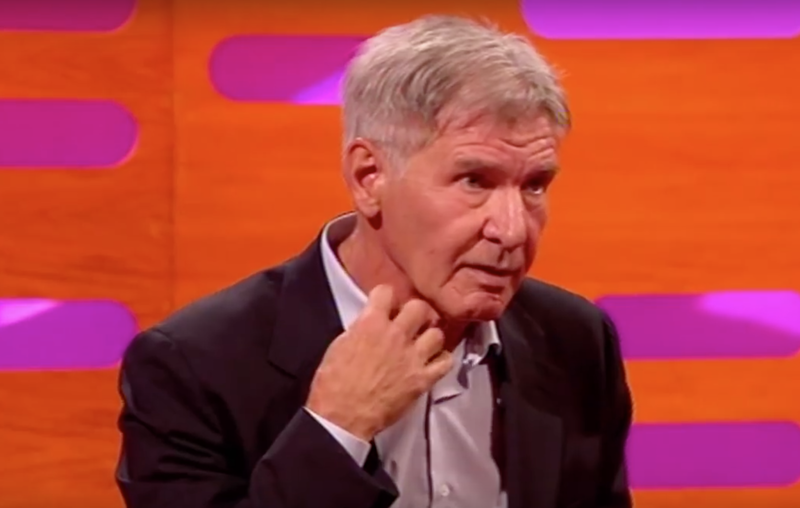 - and having an inkling for what's coming next (given Graham Norton's reputation), Mr. Ford displays an extremely common, and yet surprisingly rarely appreciated nonverbal anxiety display - that of the false shirt collar adjust - neck scratch. The human neck is extremely sensitive and loaded with nerves - including the Vagus Nerve (Cranial Nerve X). Touching this area (99.99% of the time this is done subconsciously) during times of anxiety will thus stimulate the Vagus Nerve and thus with some individuals - slow their heart rate. 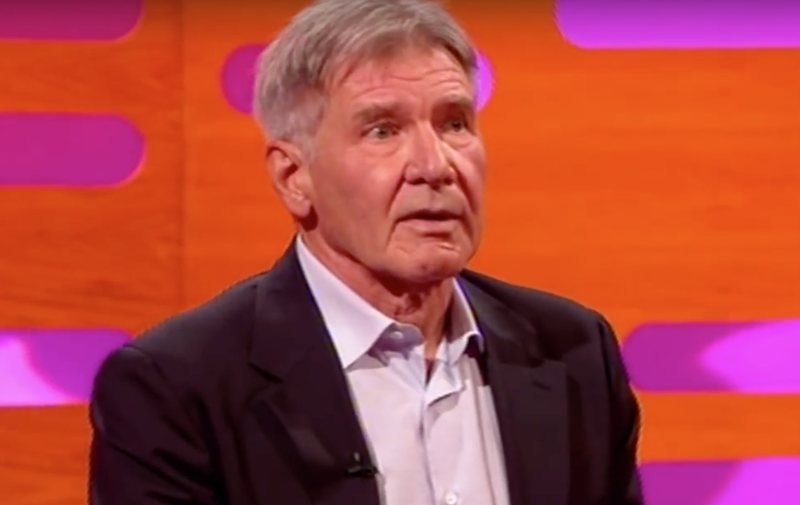 The next couple of seconds, Harrison sits upright in his chair - straightening his shoulders, neck and the rest of his spine as he takes a deep inhalation. Notice also that in both of the above images, Han Solo's elevated adrenaline levels are betrayed by his eyelids - which are opened significantly wider than baseline (along with an elevated forehead). Harrison Ford knows what's coming - and despite the fact he's an experience actor - his psyche is trying to suppress his emotions from internally growing as well as outwardly manifesting. There are many nonverbal emotion suppressors - and the Inward Lip Roll (ILR) is one of the most common. The fact that accomplished actors - those people who are under a special exemption of our social contract against deception - for we want them to lie, we want them to suspend our disbelief - the fact that such skilled professionals cannot control their body language much better than the average person on the street (when they're not in character and have the advantage of multiple re-takes on a controlled film set) - speaks volumes about the profound value of both skilled interpretation of others' body language as well as developing one's own nonverbal skills. Nonverbal Communication Analysis No. 3427: George Lucas regarding Star Wars, "I sold them to the white slavers"
Nonverbal Communication Analysis No. 3283: Trivago Guy - It's Not His Wardrobe or Haircut - It's the Body Language Stupid!